The Old World Olive Co. The Mediterranean Diet has once again be named the healthiest diet for your heart. Make Quality Extra Virgin Olive Oil a part of your heart healthy diet. Check out the FAQ page for information on why you should choose olive oil from Old World Olive Co. Check out the event page for cooking demonstrations and other happenings at our stores to help you incorporate Olive Oil and Balsamic Vinegar into a healthy diet. 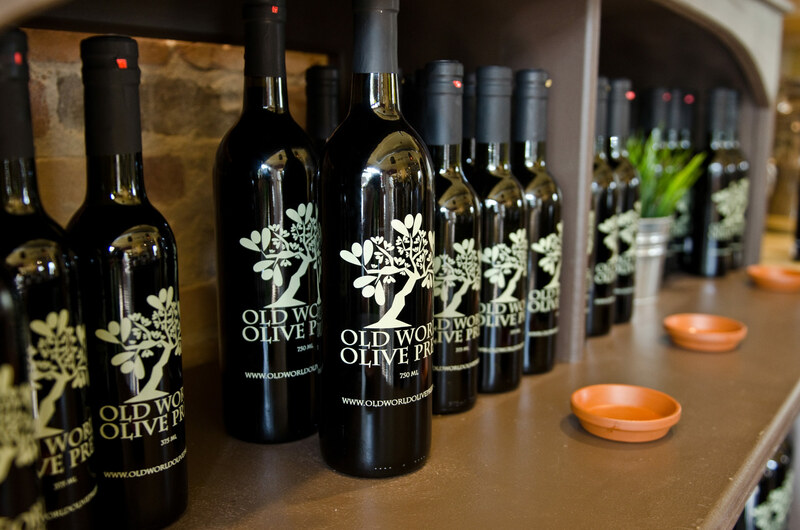 Old World Olive Company is an exclusive, specialty tasting store carrying over 50 flavors of extra virgin olive oil and balsamic vinegars. When it comes to olive oil, fresh is better. We offer the freshest and finest extra virgin olive oils from around the world. Our knowledgeable staff will help guide you through the health benefits, choose your favorite pairings and recipes – so that you can discover your palate preferences. With that you can have confidence that you are getting the healthiest, most flavorful products to use in your everyday cooking. Shop online or stop in to any one of our five store locations.